A Wednesday post...? How peculiar. Yes, yesterday I missed my standard Tuesday posting because I had 95 research reports sitting on my chest. They were weighing on my shoulders, hanging over my head, and directly in front of my eyes. Am I now completely finished with grading those papers? No, you always have those few outliers - late papers, waiting to print, and carefully tucked away somewhere. Will I get them all read? Yes, of course, however, it is just like writing this blog - to read the papers, I need a steady eye and a clear head. That doesn't always happen when I want it to! Well, Jeff and I are considering, moderately heavily( whatever that means! 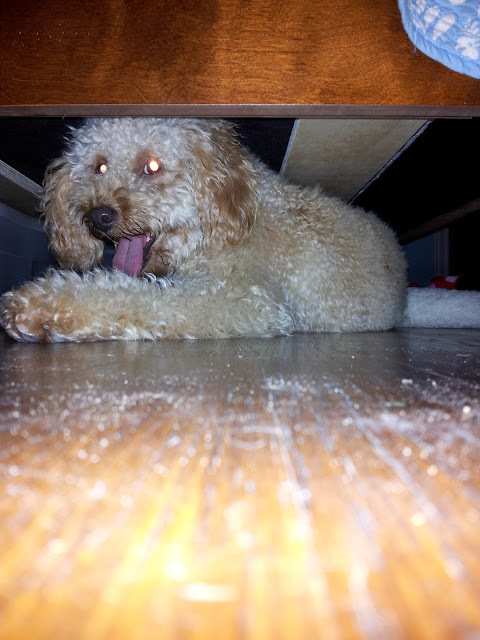 ), in getting the Milt Dog a baby brother. We figure that we are wild about the Milt and wouldn't it be even nicer to have two doods scampering about and kissing our faces. We would like to rescue a pup, but our latest attempt to do that did not turn out in our favor. 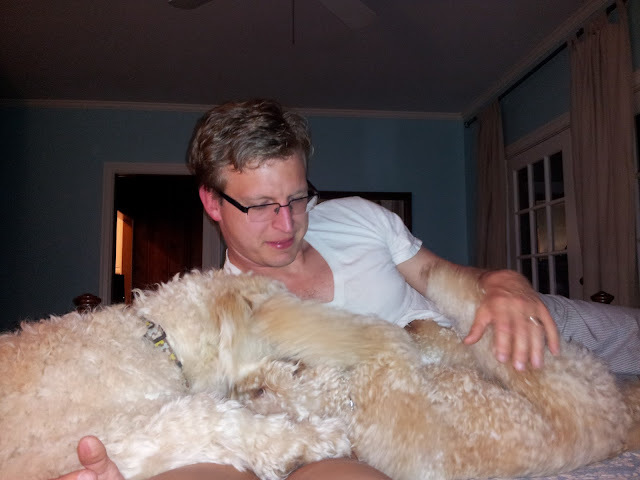 Back in March, Jeff and I tried to adopt a foster F1 doodle living in southern Louisiana. She had been abandoned by her family, covered in mats, when they could no longer afford her, and she was currently living with a foster family. One evening, I spent a solid hour filling out a rather lengthy application answering questions like, "What is your potty training philosophy?" and "If you were to die, who is next of kin for your dog?" I had some really solid answers too. Then we received an email that despite a strong application and an entertaining blog, the foster parents had some hesitations due to the comment that we were in the process of building an 8-ft. fence and might occasionally leave the dogs together outside (afternoon workdays) when we were not home. This was deemed as "dangerous" and, they basically left it as a we'll call you situation, and, guess what, they never called...! Oh, well. We plan to try again next summer when I have a big chunk of time to assimilate a puppy into our home and get him or her acquainted with the Milt Dog. I think our puppy lust is the main reason why we love to baby-sit over dogs. Jeff and I like to watch Milt interact and see how he handles sharing his toys, food, and our attention. So far, so good, but he certainly has his moments. Recently, my good buddy, Lindsay, asked us if Leo could sleep over as she was working extremely late into the night. We jumped on the opportunity and enjoyed every second of it. 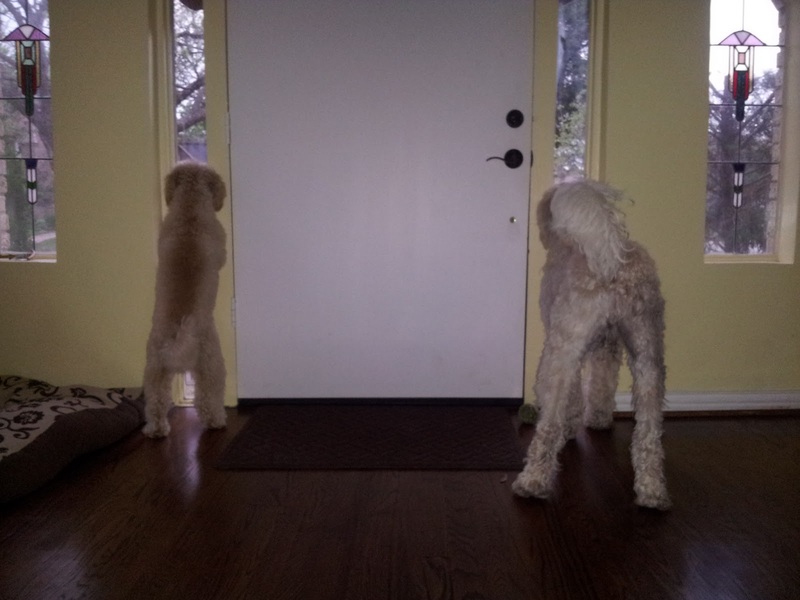 These two goldendoodles have a pretty normal relationship of Big Brother, Little Brother. Basically, Milt likes to boss Leo around by taking his toys, eating his food, and occasionally placing Leo's entire head in his mouth when he gets agitated with him. Likewise, Leo enjoys antagonizing Milton by barking loudly, stealing his prized toys, and running, jumping where Milt is not allowed to go or simply can't fit. These two have something special. Leo is allowed on the bed in his house, and he likes to make himself right at home in our house. Milton, who is almost never permitted on the bed, cannot understand why this pipsqueak is always breaking all the rules. If Leo is up on our bed, Milt is heaving his whole body up there to try and knock some sense into that boy. 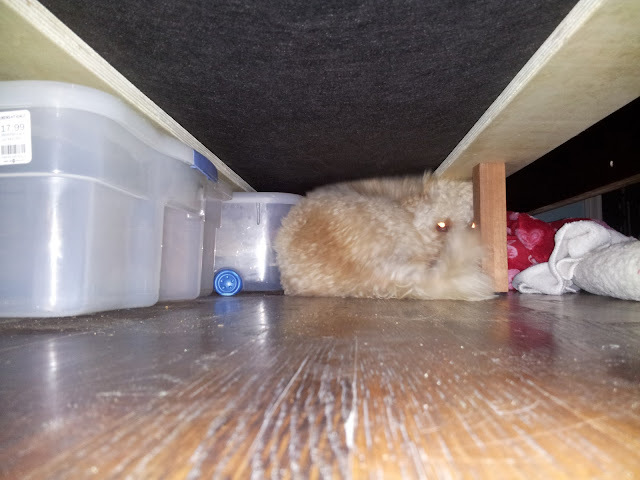 That little guy also likes to burrow under things that he knows Milt can just not do. Despite their silly quarrels, the boys still make quite the team. They are both "ferocious" watchdogs. Leo and Milt might be the Odd Couple, but they certainly keep each other occupied throughout the day. Even though Leo annoys Milt and Milt beats up on Leo, they share a sweet camaraderie together. Hopefully, Leo and Milt's antics are a true-life example of what our life could be like with two dogs rather than just our one special dood. Could life really get better than two doods? I...think...not! So funny, I was just telling my sister that Stanlee is constantly annoying his brother Cooper yet when Stan is gone for the day spending time at daycare, Cooper mopes around the house, whines continuously, and stares out the French doors looking for his brother. The world is a sad, dreery place until Stanlee gets home. I can't believe the rescue totally blew you off. Guess they don't know a good thing when it smacks 'em in the face. Yup. We've got a bit of a spam problem. I need to contact blogger about that for sure. I wish Stanlee and Milt could meet! I think they would be the best of friends. On another note, as I was trolling the Web (homesick today with a stomach bug! 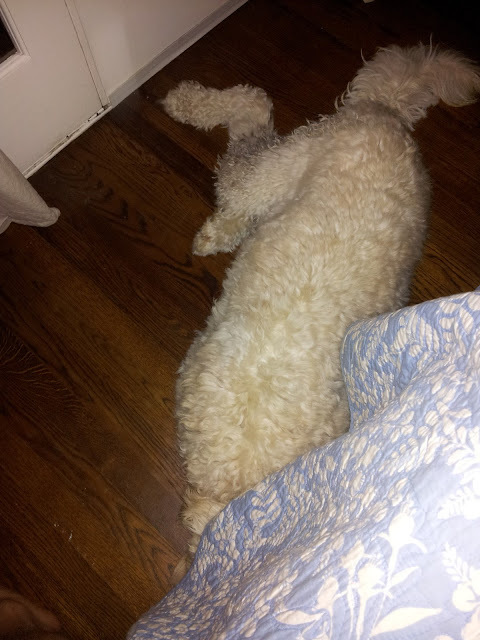 ), I came across another goldendoodle blog that is very well written! Have you ever read this one before? The woman who writes actually has a very successful home decorating blog, but this is like a side note. I'm a bit jealous...!